This was one of the first meads I tried to make, but has been the most troublesome for me. Unfortunately, my notes for this one are pretty sparse, so my measurements aren’t going to be exact. Luckily, the biggest issue with the flavor of this mead had more to do with my preparation of the ingredients, rather than their quantity. Place your honey and water in your brewing bucket. Pitch your yeast. Add whatever nutrients you usually use. Cut up AND SKIN your peaches, place them in a muslin bag and soak this in your mead for a few weeks. Make sure to move it around and give it an occasional squish to make sure you push out all the sugars and flavoring. 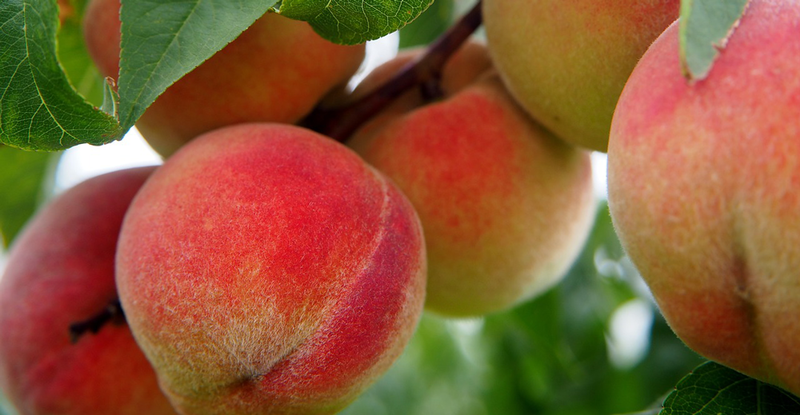 You may want to add some Pectin to your mead along with the peaches to help prevent it from getting hazy as it can often do with fruits – peaches are a major culprit of this. After primary is finished, rack your mead and add the vanilla and lactose. I’m not sure he oak really came across in that amount, so add to your tastes if desired. The vanilla is also rather subtle in this, so feel free to add more if you’re wanting it to be more prominent. This mead fermented just fine. It was quick and vigorous. However, when it was done, the taste was quite astringent. When I had cut up all the peaches for this (and placed in a muslin bag for a few weeks), I had left the skins on. It turns out peach skins can be leave quite a bitter taste in mead. I’ve seen recommendations for leaving some skins in when brewing beer; however, I think the quantity I used and the more delicate flavor profile of this mead compared to a heavily bodied beer made it too prominent. 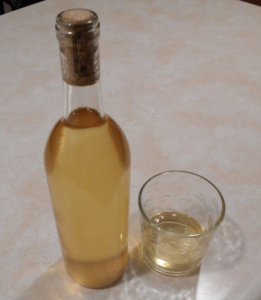 This mead also had a thinner body than I was wanting from it, so I had a lot of tweaks I wanted to make to it. Initially I had hoped a bit of aging might mellow this out. But it didn’t seem to have much effect. I then tried adding a few oak cubes, hoping it would bulk up the body a tad, which it may have but not very noticeably in the amount that I had used. It was my first foray into oaking and I didn’t want to overdo it, as this was already shaky grounds. To further bulk up the body I added a pound of lactose, to give it a creamier texture and sweeten it up a bit. I was aiming for something like peaches and cream, conceptually. Finally I added some vanilla. This probably did the most to take the edge off the astringency. I think I finally got it to a palatable place. Over two years after I started it.